The United States Office of Labor Statistics reports that of the 372 major metropolitan areas, 329 areas recorded lower unemployment rates over the year between December 2010 and December 2011. For the remaining 43 areas, 36 registered high unemployment rates while 7 had an unchanged rate. During December 2011, 10 metro areas recorded unemployment rates of at least 15 percent while 24 areas measured rates of less than 5 percent. Additionally, 66 areas reported rates of at least 10 percent, down by 44 from the same time in 2010. 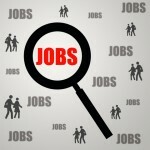 Areas posting unemployment rates of less than 7 percent rose from 71 areas in 2010 to 125 areas in December 2011. The areas recording the highest unemployment rates in December were El Centro, California (26.8 percent) and Yuma, Arizona (23.1 percent). Seven of the other eight metro areas with unemployment rates above the 15 percent were located in California. The lowest rates in the country were located in Bismarck, North Dakota (3.2 percent), Lincoln, Nebraska (3.6 percent), and Fargo, North Dakota (3.7 percent). Over the year, the areas with the largest unemployment rate decreases were the Steubenville-Weirton, Ohio-West Virginia metropolitan area (-2.8 percent) and Redding, California (-2.7 percent). An additional 27 areas recorded rate decreases of at least 2 percent. The largest increases in unemployment rates were found in Kennewick-Pasco-Richland, Washington (1.8 percent) and Yakima, Washington (1.4 percent). The highest unemployment rates for the 49 metropolitan areas with populations of at least 1 million occurred in Las Vegas-Paradise, Nevada (12.7 percent) and Riverside-San Bernardino-Ontario, California (12.2 percent), in December 2011. Five other areas registered rates of at least 10 percent. The lowest unemployment rates within the largest metro areas were located in Minneapolis-St. Paul-Bloomington, Minnesota-Wisconsin and Washington-Arlington-Alexandria, D.C.-Virginia-Maryland-West Virginia (5.5 percent).